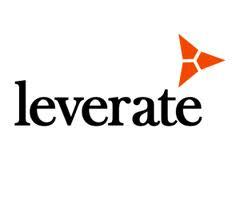 Leverate has embarked upon a degree of developmental work this year, some of which has involved the launch of new platforms as with the Sirix Web Trader which was showcased at the iFXEXPO in May, and others in the form of upgrades to existing product lines. Today, the technology provider has announced that it has completed a full rebuild of its LXFeed offering, which is a pricing data feed for FX firms. As far as functionality is concerned, LXFeed is positioned by Leverate as an ultra-low-latency algorithmic data feed that provides real-time data for more than 1,000 instruments from a series of global financial exchanges. According to Leverate, this was carried out in order to keep pace with the demand for high execution speeds required by FX brokers, with an end result of achieving 50% higher speed for transmission of pricing data than was achievable by the previous build. The company’s CTO Doron Somech spoke to Forex Magnates to further illustrate the rationale behind the investment: “It is not that LXFeed was considerably “slower” than other bank feeds previously, rather it is now 50% faster than the feed itself was before” stated Mr. Somech. “With the increase of ticks per second and amount of clients we needed to upgrade our technology, the new technology is faster mainly because the use of multicast which removed the number of hops (application processing the market data) between the end user and the banks. Also, we have improved a bunch of other things like the scalability (the amount of clients and ticks per second the system can process) and monitoring” he continued. The cross-site multicast architecture with two data centers allows LXFeed to simultaneously transmit data and add market access to more diverse liquidity pricing feeds. The company considers multicast delivery to be crucial in order to handle the growing amount of Leverate clients, as it increases the capacity of pricing servers. Direct fiber connections between LXFeed and top-tier liquidity providers have resulted in a further reduction of latency. With regard to the need to increase LXFeed’s performance to satisfy a growing client base, and with the Far East’s appetite for high volume, high speed trading, a challenge lies ahead in ensuring that latency is kept to a minimum, despite the distance which data needs to travel to reach its clients in the Asia- Pacific region, and similarly to execute trades made by such clients. On this note, Mr. Somech explained to Forex Magnates that “The current LXFeed rebuild does not concern Far East provision, although we are working on a solution to that as well”. With both of the company’s servers located in London, one at Equinix (LD4/LD5) and the other at Telecity Powergate, providing across the board access to venues for all worldwide clients is a challenge. Leverate has elected to facilitate this via metropolitan area Ethernet, which is commonly known as a metro connection. This is similar to a Point to Point system as has recently become a popular means of connecting European and Russian venues to American infrastructure , as was recently demonstrated by TMX Atrium’s installation of Points of Presence in Paris and London and upgrades to the existing Points of Presence connections in North America. From an operational perspective, metro connection employs a distribution network to conduct aggregation,such as an ODN segment. Often, Passive Optical Network, microwave or Digital Subscriber Line technologies are employed, but some using point-to-point Ethernet over “home-run” direct fiber. This part of the network includes nodes such as Multi Tenant Unit switches, Optical line terminals in an outside plant or central office cabinet, Ethernet in the first mile equipment, or provider bridges. Leverate considers that most of its upgrades and client demands are not constrained by geography. When the firm rolls out changes, many times stemming from the demands of clients, the purpose is to set these in place for its entire client base rather than concentrating on a single region, such as China. The company explained to Forex Magnates that with more than 50% of the business activity being R&D related, it has a business need to improve all products with upgrades and features in order to maintain its market share and current position within the technical provisioning sector of the FX industry. Mr. Somech stated today that “The new LXFeed is exciting because multicast architecture renders the Forex data feed even faster, while not sacrificing stability or any of the built-in arbitrage and scalper-protection features”. 50% faster is neat, but what is the quote latency in different regions?